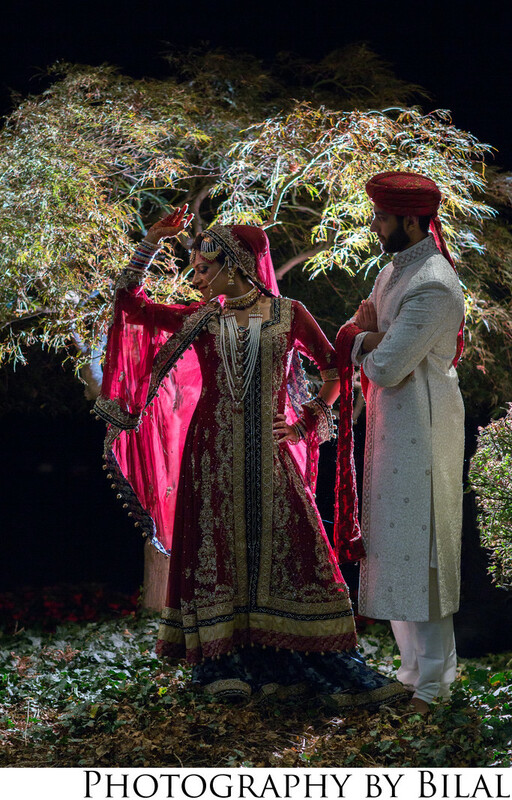 I shot this image at a Pakistani wedding at the Hyatt in Princeton NJ. This is one of my favorite wedding images. I remember we had ventured out for some photos but since it was past sunset, we really didnt have many options. Sometimes, you need to work with whatever you have and just make the best of it. I found this small tree and thought it would make a nice backdrop if i back lit it with some flash. The bride, Nabiha, loved getting in front of the camera so I didn't have to provide much instruction on what to do. I provided Nabiha with a complimentary canvas of this image.